Follow @NoMaBID for more information. 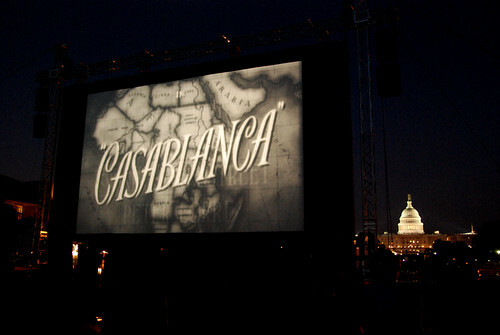 NoMa Summer Screen features various food trucks and vendors, as well as music before the films start. 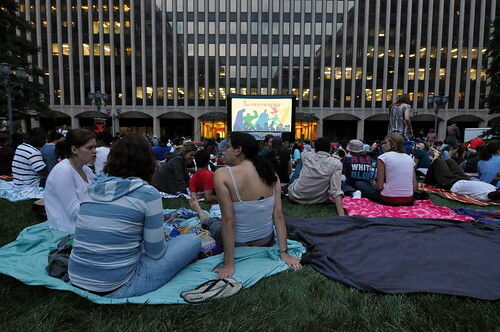 Children and “friendly dogs” are welcome at the NoMa Summer Screen. Columbia Heights has yet to announce their 2012 summer lineup. Movie Lineup: Crystal Screen’s theme for 2012 is the “Rom Com.” Might want to bring tissues to a view of these. Follow @CCBID for more information. Follow @RosslynVA for more information. 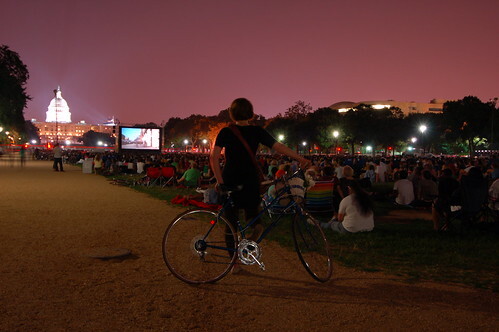 The films will play rain or shine, and you can head over early for games and prizes. No pets are allowed at Cinema Del Ray. Follow @Rockvilletownsq for more information. Blankets and lawn chairs permitted, but no coolers or outside food are allowed. Follow @nationalharbor for more information. Coolers with food or alcoholic beverages aren’t permitted. NIH Comcast Film Festival has yet to announce their movie lineup, but they’ve announced dates: August 23-25.